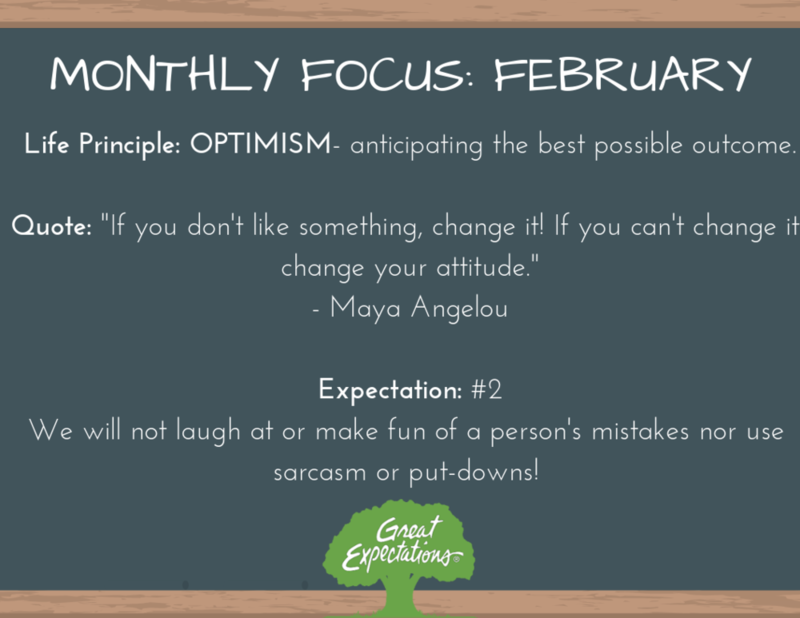 This month we are focusing on our Life Principle, Optimism! Kid President says it best, check out one of our all time faves from him here, A Pep Talk for the World! We are also focusing on Expectation #2: We will not laugh at or make fun of a person's mistakes nor use sarcasm or put-downs! Sometimes, "I'm JUST kidding!" doesn't make it okay! Let's all focus on being kind and building each other up!